The thyroid hormones effect every cell in the body by the help of receptor sites. All cells need thyroid hormones for energy, metabolism and health. Thyroid disease is one of the most common endocrine illnesses in women of reproductive age and if unrecognised, it can increases the risk of pregnancy problems like miscarriages & placental abruption as well as hypertensive disorders and other hormonal problems. The two most common thyroid problems stemming from an autoimmune base are Hashimoto’s (hypothyroidism) and Grave’s (hyperthyroidism) disease. The increase in thyroid disease has shown a vast increase in research not only in traditional medicine but also alternative. I just finished a book by Dr Datis Kharrazian called “Why Do I Still Have Thyroid Symptoms Even Though My Lab Tests Are Normal” (was a great book!) and in it he says that 90% of thyroid disease has an autoimmunity component. There is not much you can do about genetics but there is a lot you can do about environment and gut/digestive issues so in this post I thought to concentrate on these two factors as these will effect genetic expression. Why does the body turn against itself and start consuming itself (autoimmunity). This is still not clear but thoughts are virus, bacteria, heavy metals, chemicals, the antecedents of our life and of course diet. The epidemic in poor gut health can also be put down to medications, the pill, steroids, antibiotics, as well as processed foods filled with preservatives. Lack of sleep, poor diet and indiscriminate use of medications all play a role in poor gut health. 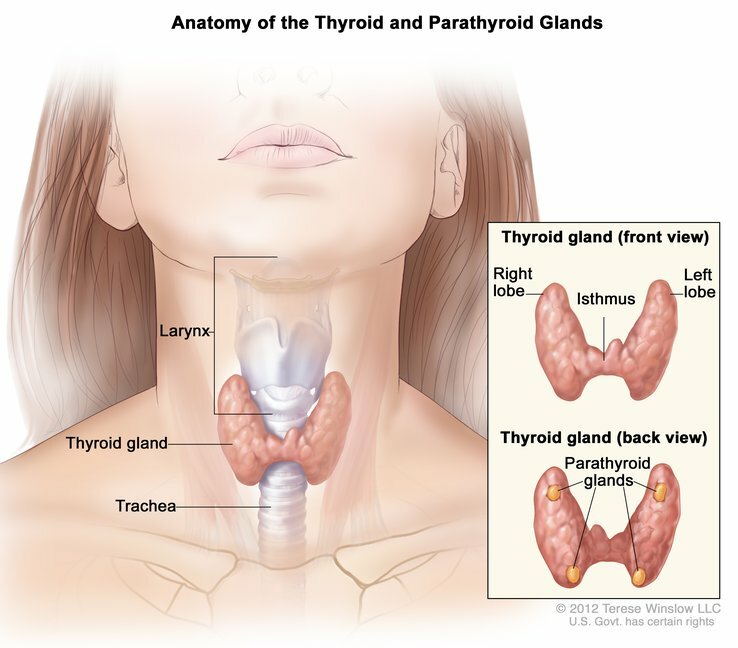 Now there are some different thyroid problems that we can have and I'll list them below. This occurs when the thyroid gland becomes overactive, generating too much thyroid hormones. This occurs when the thyroid gland becomes underactive, due to not enough production of the thyroid hormones. If you feel like you might be having thyroid issues, it's important to seek testing via a full thyroid analysis to provide a proper diagnosis or a greater understand of the health of your thyroid. -For nutrients that support thyroid health, it is great to get these tested; ferritin, vitamin D3, Selenium, zinc (in conjunction with zinc taste testing), magnesium and urinary iodine. Due to the two most common thyroid problems stemming from an autoimmune base, it is absolutely crucial to calm down the immune system by removing inflammatory foods from the diet. -If you have already eliminated the above foods, you may need to consider nightshade vegetables (the main ones are – potatoes, tomatoes, eggplant and peppers/capsicum), eggs, nuts, grains and/or legumes. These foods stimulate your immune system, which will increase the attack on your thyroid and therefore worsen your condition and/or stop health improvements. Iodine rich foods such as kelp noodles, dulse flakes and in some cases, women can supplement with liquid iodine that is painted on the skin only. NB Everyone requires different amounts of iodine depending on the individual’s circumstances, so it is important to seek professional help to assist in understanding your needs. One way to do this is through urinary iodine testing with your GP. -Green vegetables, to support detoxification and to receive an array of micronutrients. Your thyroid relies upon many nutrients though in particular iodine, so the list of the foods above is essential for maintaining or improving your thyroid health. -Seek personalised advice through a trusted holistic practitioner. -For pregnant women, it is crucial to pay attention to your nutrition and taking extra care, as the body changes dramatically during pregnancy.